John Isner says that he really loves to play at the BB&T Atlanta Open. The 33-year-old has won it five times. While the top players don’t go there, still, there are enough very good competitors to make it a fun stop to kick off the US Open Series. When Isner is mentally down, he can lose against the top dogs, but when he is into it, he can jump over almost anyone. 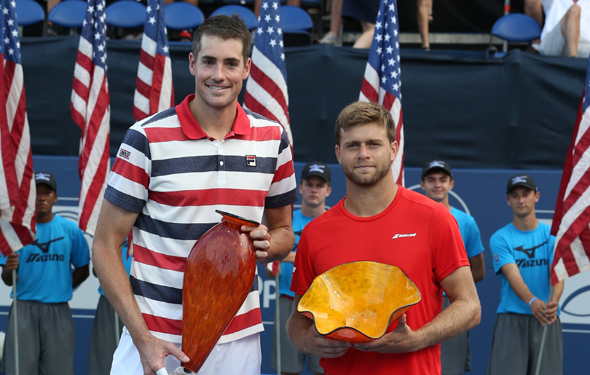 Isner defeated Ryan Harrison 5-7 6-3 6-4, a very close match. Both of them – especially Isner – have big serves. But, the real question is who will return well and deep. Fortunately, over the last four months, Isner has returned just a little bit better, which is why he won Miami, and he reached the semis at Wimbledon. He is ranked No. 9 and possibly — and I mean possibly given that it took him so long to reach a Grand Slam semis — he could go very deep at the US Open. First, there are some very important tournaments, such as the ATP 1000s at Toronto and Cincinnati. These 1000s can carve up all but the best. Almost of the top players will be there, except for the great Roger Federer, who won’t play Toronto. His body isn’t ready yet. Isner is playing again this week, in Washington, but skipping his hometown tourney in Winston-Salem again. The DC is a 64 draw, and they have decided to use 16 seeds. Come on people, how about just 8 seeds, and make it even more exciting, even earlier. The No. 3 Alexander Zverev is the top seed and defending champ. This is a strong field for a 500 with Andy Murray, Stan Wawrinka, Kei Nishikori, David Goffin, Hyeon Chung and … Nick Kyrgios, who just retired, two days ago in Atlanta. Over in San Jose, which used to be at Stanford for many years, and it was many fine matches, some incredible ones. This week, both of the Williams sisters will play, as will top-seeded Garbine Muguruza, Vika Azarenka, Madison Keys and Elise Mertens, among others. On Tuesday, Serena Williams has to face Jo Konta, which should be fascinating because both of them will say that they are not playing great this season. Serena returned in March due to the birth of her daughter, and former top-10er Konta has been up and down on court. For the most part, Konta has been shaky. But, if she can focus and not think about why she is overhitting, she can be more effective. If Azarenka wins today against Kateryna Bondarenko — and that is not an automatic as the veteran is pretty smart — she would play Muguruza on Wednesday night. Both of these two have won two Slams, so while on certain days they get frustrated and lose, still, when they are feeling just fine, they can crush the balls and touch the lines. If they meet, that is. Here are our predictions for the BB&T Atlanta final. 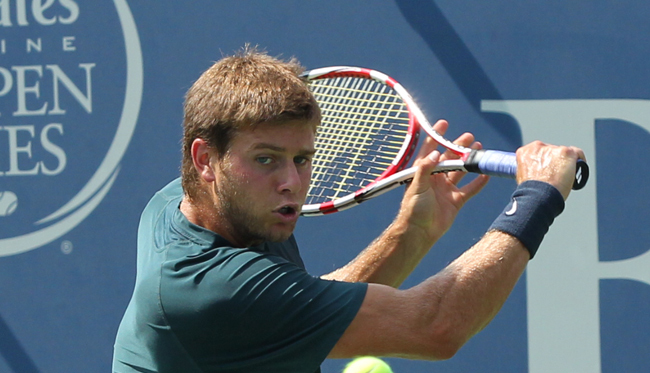 It’s déjà all over again as John Isner faces Ryan Harrison in the Atlanta final, just like they did 52 weeks ago. Isner won 7-6(6), 7-6(7) but the score doesn’t reflect the story; the tall American had a stunning 23/1 aces to double faults, while Harrison was only 10/4. Isner also won eight more points, not a huge number but significant in a match with two very close tiebreaks. Both players needed three sets to take their semis. today While a bit hot, conditions here were quite pleasant compared to some of the scorchers that have plagued players before. That might have contributed to Isner’s occasional discomfort, as he banged a racquet when he dropped the second set to Matthew Ebden, one of a couple of rare outbursts. Harrison floundered in the first set, dropping it 6-2, but then made the most of numerous ill-timed double faults by Cameron Norrie to win in three sets. While Isner has a better head-to-head record of 7-3, Harrison holds a notable edge on outdoor hard courts, winning three of their four matches. The last hard-court meeting was in Acapulco this year with a straight-set win for Harrison. What does that mean for tomorrow’s Atlanta final? Not much. Why … because Isner is on a roll. He’s coming off his magnificent achievement of reaching his first Grand Slam semifinal at Wimbledon. He won Miami on hard courts. But, most importantly, this is Atlanta. Isner is not unbeatable here but he’s reached eight of the nine finals in the Georgia capital. He’s got four titles and his focusing on his fifth. We like Isner in two tight sets … just like a year ago. It’s nearly impossible to go against Isner in Atlanta. The former Univ. of Georgia Bulldog has waltzed his way to the semis in each of his nine trips to Atlanta and took home four oblong bronze trophies in 2013-2015 and 2017. He’s 3-1 over Australian Ebden, with the only loss coming in this year’s Australian Open first round. So, the Wimbledon semifinalist has something to prove today. The 30-year-old Ebden has seen his ranking peak earlier this month at No. 43. Besides Isner, he’s taken down Sam Querrey, Gilles Simon and Frances Tiafoe on hard courts this year. He has had a decent record in the Georgia capital. But, that won’t help him much against the big Isner serve and what amounts to a home crowd. Isner in straight sets. The ever-perplexing Harrison comes into the tournament ranked No. 53, having hit his best ever a year ago at No. 40. Over the past 18 months he has won one tournament – 2017 Memphis – and reached the final last year here in Atlanta and in ’18 Brisbane. Considering this run of success, the fact that he has only produced top results at 250 tournaments has slowed his progress. He has won only three Grand Slam matches this year and went without a victory in Indian Wells and Miami. He’s only 26 but the question remains: Will he ever break into the Top 20? Norrie may not have Harrison’s pedigree but he is on the way up. A year ago he was No. 275; now he’s at a career high of No. 73. The Brit (but with long-time New Zealand roots) has 2018 wins over Isner and Robin Haase … along with Harrison’s younger brother, Christian. His left-handed game can give Ryan some issues but Harrison has experience here. Harrison had to dig deep to overcome Hyeon Chung in the quarters. Figure Harrison will have to fight again and we see him winning in three sets. Third time lucky for Anderson? 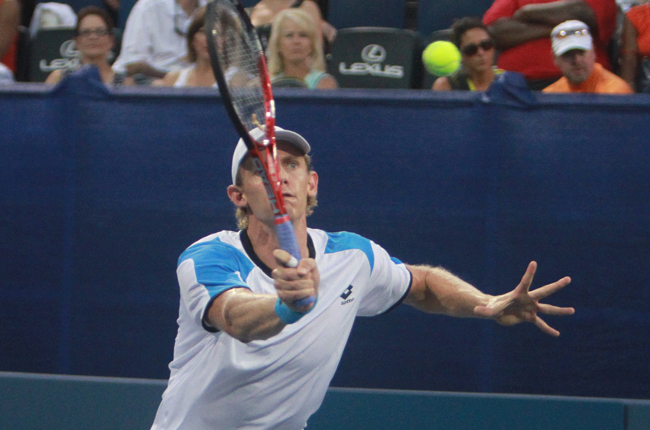 Kevin Anderson earned himself a legion of new fans after winning the hearts and minds of the tennis world during Wimbledon. It was Anderson’s semi-final showdown with John Isner that caught the world’s attention as the two giants slugged it out for over six and a half hours, which made it the longest Grand Slam semifinal of all time. It was a classy interview that Anderson gave and was a great advert for sportsmanship in tennis. Sadly, for the humble and hardworking South African, it wasn’t to be in the final as Novak Djokovic beat him in straight sets to claim his fourth Wimbledon title. Losing to the Serb would be his second Grand Slam final defeat in a year after going down to Rafael Nadal at the US Open final in 2017. Even though Anderson didn’t win a maiden Wimbledon title, he still made history by being the first South African to appear in a Wimbledon final in 97 years. There are undoubtedly many positives to take away with one more Grand Slam to play this year. With the 2018 US Open only a month away, Anderson will be hoping that it’s third time lucky and that he is finally able to get his hands on a Grand Slam trophy. The disintegration of the Big Four is helping Anderson secure more of a foothold at the top of the men’s game. But, at 32, you do feel the South African will have to strike whilst the iron is hot or else look back on what could have been, as time waits for no man. Despite all of Anderson’s heroics over the last year, he is 33/1 to triumph at the US Open, which illustrates what an uphill battle he has on his hands. Djokovic is the favourite to win at Flushing Meadows, which is quite remarkable given he wasn’t sure whether he would play at Wimbledon after a quarterfinal defeat at Roland Garros in early June. It’s been an up-and-down few months for the Serb. But, in the blink of an eye, he now looks the most dangerous out of what is left of the Big Four. It’s safe to say that Novak Djokovic is happy to hold his fourth #Wimbledon . More so than ever it looks like a winner could come out of the chasing pack and that means it won’t just be Anderson who’s eyeing up the US Open as a chance to win a rare Grand Slam. Nadal and Federer will obviously be as big a threat as always, but their powers are waning with a younger crop of players smelling blood and ready to run them ragged. Out of the last four US Opens, two have been won by players outside of the Big Four so history indicates that the face of the championship is beginning to change. Cilic and Wawrinka were the players to break the mould as, before 2014, nine of the 10 US Opens had been shared amongst Roger Federer, Nadal, Djokovic and Andy Murray. Now is the time for any player heading towards the end of their career to pounce and win their first Grand Slam. Remember when Novak Djokovic won everything? The No. 1 was unstoppable. But last year, his body broke. After 2017 Wimbledon, he stopped, for six months, and when he came back in the start of this year, he was way off. He was upset, nervous, and mentally constrained. But he kept on and at Wimbledon, his confidence was resurrected. When he was practicing, he could crush his backhand, forehand, his serve, at the net, his return, but that didn’t work on court. He would shake his head a lot. He would hesitate. However, two weeks ago, he told himself that win or lose, he would be brave. And that is exactly what he did. The Serbian won his 13th Grand Slam by beating Kevin Anderson 6-2, 6-2, 7-6. He clubbed him. On Sunday, after he won, he admitted that it was a tough time this year. How about this? Just six weeks ago, at Roland Garros, he lost to Marco Cecchinato in the quarterfinals. Djokovic was so upset that in the press conference, that he might skip Wimbledon. Oh, he battled, did he ever battle. In the semis, he was playing Rafa Nadal. In the fifth set, it looked like that he was very close to losing. But he never backed off and he won it 10-8 in the fifth. After that, Djokovic was going to win. On Sunday, he pulled the tall Anderson all around, and he returned whenever he wanted to. On Monday, Djokovic will be ranked No. 5. At sometime, maybe in the fall, he can grab the No. 1 once again. After all, he is as good as Roger Federer and Nadal right now. It is all about the confident factor. “I’m really grateful to go through these mixed emotions and turbulence mentally. I’m human and we all have to go through that,” Djokovic said. Last year, Angie Kerber said that she didn’t understand exactly what she was doing, losing all the time. She was frustrated and almost hopeless. But in 2018, she decided that she would push herself every match, everyday, looking for the confidence factor. At Wimbledon, she knew that she was right there. She was so, so fast, running and sprinting. This time, she would attack, hit it closer to the lines, returning deep, On her serve, she would mix it up constantly. Kerber did and now she has won three Grand Slams, beating the famous Serena Williams 6-3 6-3 to win Wimbledon. When Kerber was just a baby, and she had just started playing tennis, the now 30-year-old German watched Steffi Graf at Wimbledon. Graf won everything, 23 Grand Slam titles, with an unbelievable forehand, her slice backhand, and a phenomenal serve. On occasion, Graf lost, but she was very calm inside and she was so focused. That is exactly what Kerber did over the past two weeks. Kerber will rise to No. 4 on Monday, and for sure, she could eventually become No. 1. She has been so much better over the past three years and without a doubt, now, she is a huge factor for years to come. Is it for real that the American John Isner has reached the semifinal at Wimbledon? It is real, as he has won five matches in a row. He is 33-years-old, and he is a very tall man, and his first and second serves are gigantic. But, on certain days, he was calm and cool, and other days, he would get angry and check out. But on Friday, Isner will have a good chance against Kevin Anderson. The veteran Anderson have improved a good amount of the past year and a half, stunning Roger Federer in the quarters. His backhand is heavier, he returns a little bit better, and of course, his forehand, his serve and even at the net, he is totally controled. “There could be a little mental aspect in our match. I say that because our rivalry, goes back way before the pro tour,” Isner said. “We played each other in college probably three, four, five times. We played each other a bunch on the pro tour. We’ve been lined up against each other for about 14 years now, because he left Illinois when I left Georgia. We’ve been doing it ever since. While Anderson has reached the 2017 US Open, final, which is very good, but playing against Isner, he cannot figure him out. Or maybe he finally has. Isner has beaten Anderson eight times, and the South African has won only three times. 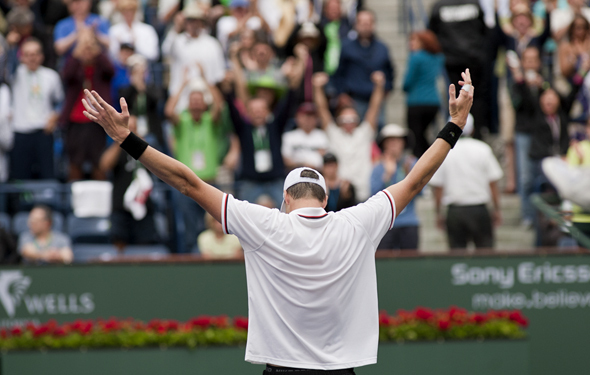 In the last five matches, Isner has prevailed. In 2015 at Indian Wells, on the hardcourts Isner knocked him back 7-6, 6-2. That is the last time they have played, so it has been more than three years. They both have changed somewhat, and this week, they are rocking. There will be short points, and I would think there will be a few tiebreaks. In the end, Isner will hit so many aces that he will reach the final in five sets. Rafa Nadal and Novak Djokovic will clash in the semis. That will be their 52th contest. That is a record, which is mind blowing. In 2007, Nadal beat Djokovic in the semis at Wimbledon, when the Serbian retired. In 2011, Djokovic beat him in four sets in the final. That has been a long time now on grass, but still, having to skid, they are more comfortable at the net, and to know that when they return, they have to hit it deep. Djokovic has won Nadal 26 times, and Rafa has beaten Novak 25 times. They are nearly even. Since April, on clay, Nadal won just about everything. But on grass, it’s different. Now on the surface, it has been warm so the balls bounces up on the court. Also, when it is dry, you can slip and fall down. That is the way the balls bounce . We all know that Nadal has a mammoth lefty forehand that is better than Djokovic, and the Serbian has a better sharp backhand. They are tied on with the first serves — twising balls — and at the net, putting it away, very low, competent. While Djokovic is surging, that doesn’t mean that he is 100 percent emotionally. Maybe he will find his fighting spirit on Friday, but Nadal is so focused. Rafa will win in five marvelous sets. 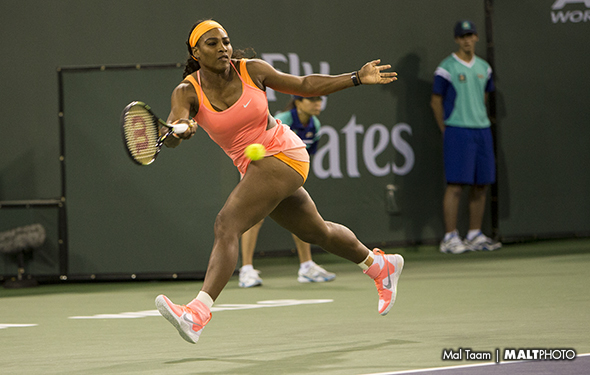 On Saturday, Serena Williams and Angie Kerber will be ready to clash. Serena is almost back, playing wise, and Kerber is driven. The last time they played, back in 2016 in the final at Wimbledon, Serena served big and consistent, and she found the lines in two sets. But it was close, and now, they have aged over the past two years. They are crafty, they are very strong, and they can smack both sides, the forehands and the backhand. Neither of them like to go to the net, but Serena’s second serve is substactially better, but Kerber is faster. Also in 2016, the German won her first Slams, beating Ms. Williams in three sets at the Australian Open. So right now, this weekend, they are almost even. Obviously, neither of them will be very nervous. They have played so many Slams, and neither of them will shake in their boots. They will go into the third set, and Serena will hit it deeper and deeper until Kerber will fold. Serena will win in three sets. The dominator. FROM WIMBLEDON — Many players are very nervous on court, but others aren’t nervous at all. When you have won a Grand Slam, that nervousness can go away. That is why Angelique Kerber and Jelena Ostapenko will face off on Thursday. German Kerber won the ’16 US Open and ’17 Australian Open, while Latvia’s Ostapenko won ’17 Roland Garros. This season, they have been OK, for the most part. But, in the last 11 days, they were so good and so driven. Kerber has been around a long time, while Ostapenko is very young. Kerber is super steady as she is very fast, while Ostapenko crushes her forehand and backhand. However, after you win a major, the so-called pressure is on in the next year. You are the champion, so do it again. Ostapenko admitted that last month that she was emotionally messed up. But not now. Kerber has reached a number of semifinals this year, but she has yet to win tournament since she won Sydney at the start of the year. In Australia she reached the semis, and she was very close, but Simona Halep pushed her back 9-7 in the third set. Since then, Kerber has been gaining momentum. When she goes deep in an event, she will back off and lose. 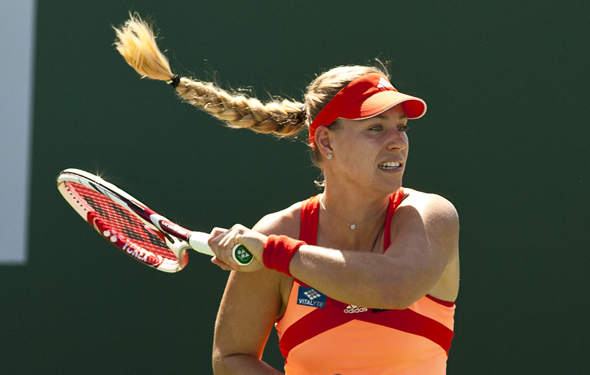 Perhaps on Thursday, Kerber will be substantially more aggressive and return well. She has to. Her young opponent will make Kerber step it up. This is a toss-up, but in the third set, Ostapenko will hit the corners and capture it. Serena Williams is once again back into the Wimbledon semifinals. She is the favorite, but she still is not playing 100 percent, yet. She needed to best Camila Giorgi 6-4 in the third. Her serves were tremendously good in the last hour, but still, her forehand is a little off. Regardless, she is still so smart, her backhand is lethal, and her returns is very deep. As long as the rallies go quickly, she will be find her game. Well here it is, things changed: “It was almost three years ago when I decided to make a change in my team. I went completely a new way. I took a new physio, a new coach [Michael Geserer]. I changed my residence,” Georges said. “I went from the north to the south of Germany really to start everything from zero. She is correct. Last year, she won two titles, and this season, the German has beaten some very good players including Caro Wozniacki, Daria Kasatkina, Karolina Pliskova and Ash Barty. She is strong. But here is what is crucial: At Roland Garros, she lost to Serena 6-3 6-4 in the third round on clay. So how is she going to attack on grass? That is risky business. Even if she does, Serena will win in straight sets. It was a heck of a day on Wednesday, very long with a couple of wonderful contests. The famous Roger Federer went down in a spectacular fashion, losing to South African Kevin Anderson 2-6 6-7(5) 7-5 6-4 13-11. Federer had a number of chances, but Anderson stepped up to the plate, hit some huge forehands and his slamming serve. He came though, perhaps his best match, ever. Federer was a little bit shaken up. The other multiple champion, Rafa Nadal, survived in nearly five hours, beating Juan Martin del Potro 7-5 6-7(7) 4-6 6-4 6-4. The fifth set was a true classic, with both men returning well, going side to side, hitting hard or soft, changing everything. But in the end, Nadal was slightly more consistent, and brilliant, which is why he will have a decent shot to knock down Novak Djokovic in the semis. But first, Nadal was thrilled. Serbian Djokovic was extremely good, as he was very focused and his backhand was spot on. 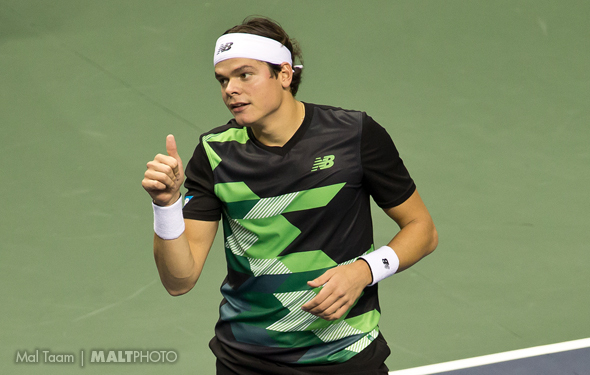 In the last hour, he whipped Kei Nishikori 6-3 3-6 6-2 6-2. 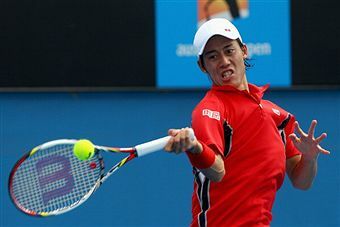 Nishikori had some good moments, but then he totally lost his game, committing errors after errors. “I feel if I have to compare the game that I’ve played, the level of tennis that I’ve had those years and today, I think it’s pretty close,” Djokovic said. 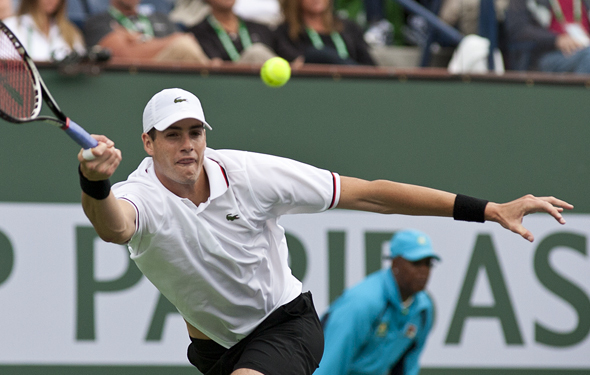 American John Isner finally reached his first Grand Slam semis ever, beating Milos Raonic 6-7(5) 7-6(7) 6-4 6-3. In the second set in the tiebreak, it looked Raonic was going to grab it and go up 2-0, but Isner kept strong and snared it. After that, he was on cruse control. They winners are all happy. Not so much for the those eliminated in a glorious day of tennis. Is Serena getting better with each match? She sure is, which is why she has reached the quarters. Is that a big deal? Yes and no. She has won seven Grand Slams at Wimbledon. Two years ago, when she was No. 1, she dominated with her huge serves, her sweet backhand and a gigantic forehand. Then she became a mother. She came back, in March, she was pretty slow — admittedly — and it has taken her four months to get in shape. She is not perfect yet, but she is more comfortable and driven. On Monday, she smacked Evgeniya Rodina, even though there were some fine rallies. Williams took it to her. Now, she is closer and closer to being ready to take the title. “Yes, absolutely. I’m getting there. Yeah, I don’t think I’m there yet. I feel like it takes time to get there,” Serena said. On Tuesday, she has to face Italian, Camila Giorgi. Obviously, Serena is the favorite here because, while Giorgi can attack quickly, she cannot hit big serves. That is when Serena will pounce. They have played each other three times, on clay and hard, and Giorgi hasn’t won a set yet, but it has been reasonably close. The Italian has never gone very deep at the Slams, but she is only 25 years old and she still has time to grow. But when she wakes up in the morning, she knows she has a big task ahead. Perhaps she can bring it into the third set. But I doubt that, because Serena is focused. Before Serena and Giorgi will play on Centre Court, the renewed Angie Kerber will play Daria Kasatkina. Kerber is the favorite, but Kasatkina is rising every day. She is so darn good. Speaking of which, the 21-year-old Jelena Ostapenko is playing fantastic ball. When she doesn’t get too upset — and she does, frequently — she can outhit just about anyone, including Dominika Cibulkova. I expected Julia Goerges to get through, which she did, but I wasn’t sure about Kiki Bertens versus Katarina Pliskova. Another day, another women’s seed dismissed. Bertens found the lines and jumped on the ball. She will face Goerges, which is a very tight match. The German will win in three close sets.